Down here in Devon, we do lots of things very well indeed: moors (we have two fine ones), rain (we have a million rivers), cream teas (we debate about them) and pasties (but not Cornish ones) being a few examples. We are not however, very good at snow. 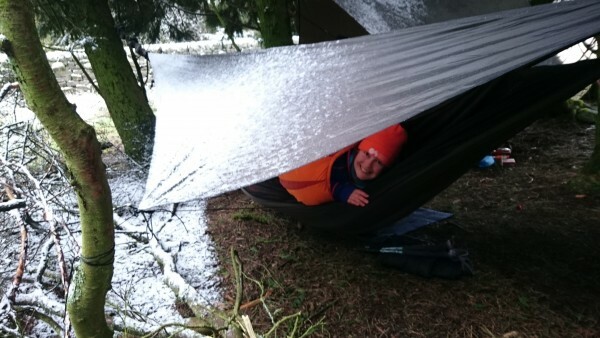 Which is why family Blonde Two were particularly thrilled to wake up to snow flakes after our night hammocking in the far-off land of Up-North. I should add here that these weren’t just any snowflakes, these snowflakes were so enormous that you could see the patterns in them with a naked (just woken up and glasses-less) eye. 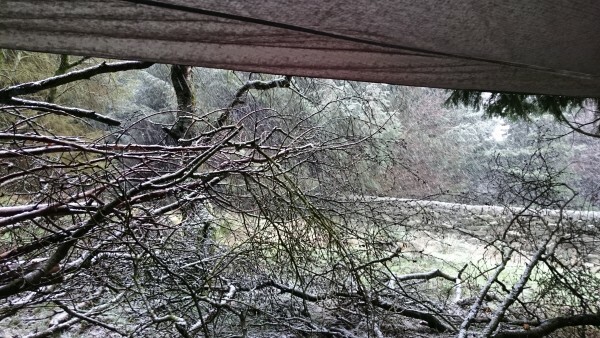 We used to have big snow in my childhood, we used to have Narnia too; and I think I was in danger of getting the two things muddled up as I swung gently in my hammock, listening to my (grown-up) children’s excitement and watching the flakes build up on the tarp above me. 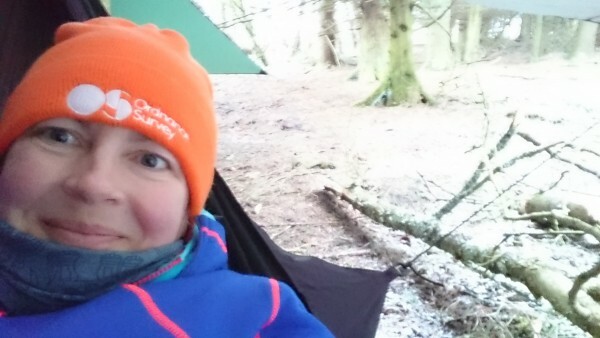 When we left our hammock site, despite chilly fingers, we were a very happy family indeed. As we walked away, it appeared that the snow had been sent especially for us as nobody else had had any, not even the sheep! Doesn’t sound entirely authentic to me. Where are the details recounted by Maurice Herzog in Annapurna, the ultimate sado-masochistic experience. Injecting himself in a place so intimate it gives me the willies just to think about it. Later a taking pair of kitchen scissors (Strange thing to be carrying up the mountain.) and snipping off now useless, blackened toes. No sweat. He went on to become big in government. Even the chaffinch sounds thrilled. What magic! It really was a little bit of magic and very kind of the birds to share their wood with us.